We have been working in collaboration with Lance Herring on this project. 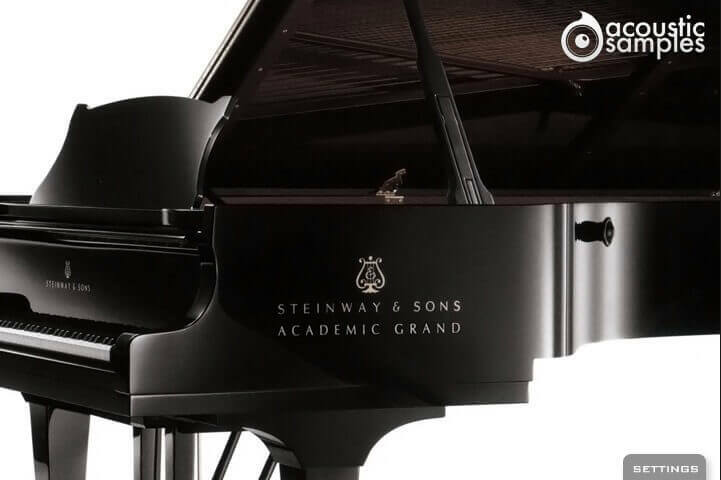 The AcademicGrand is a 1963 Steinway D concert grand which has seen countless recitals and concerts over the years where it served as the University of Arkansas' primary concert instrument. The piano has been an inspiration to hundreds of students and visitors, and with being well-maintained and cared for, it's a wonderful instrument with a unique history and classic American Steinway sound. This is the default interface of the plugin. We adjusted all of the parameters the best possible way. If you want to adjust something, simply click on settings. On this library, the Mixing settings are only a control over the volume and pan. The Reverb. We use a convolution reverb and you can adjust the dry and wet parts separately. The MIDI remapper allows you to assign any input velocity to any output velocity. 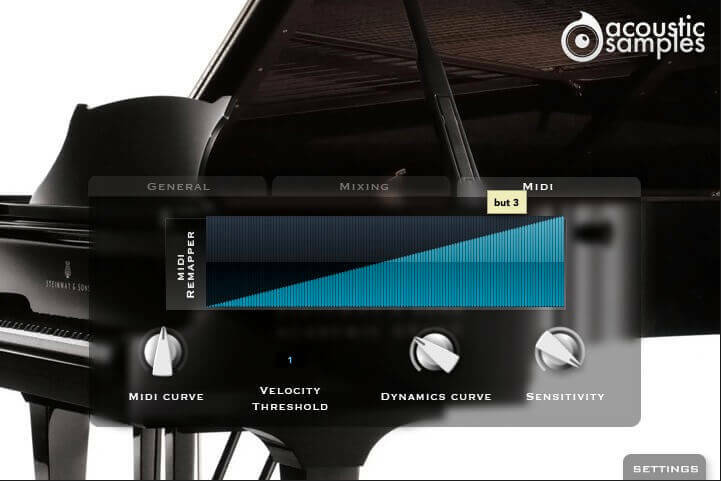 The MIDI curve controls the midi remapper and will give it a concave or convex shape thus changing a "MIDI sensitivity". The Velocity Threshold is simply the minimum velocity that you will have to play to hear the piano, it is present on a real piano. The Dynamics curve changes the volume curve of the library. 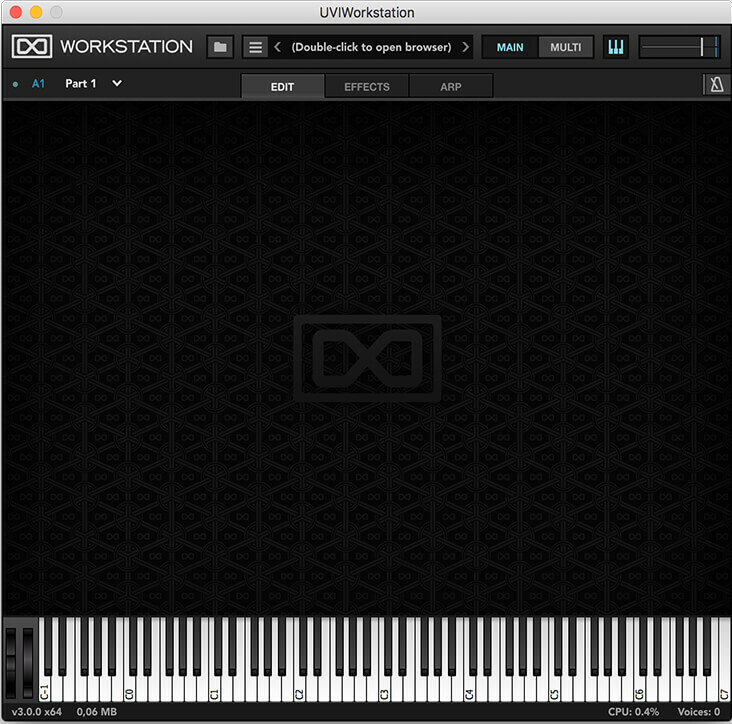 AcademicGrand comes with its own sample player, the UVI Workstation 3 (requires v3.0.0 or later). 2.82Gb uncompressed, 1.11Gb compressed in lossless flac format, around 816 samples. 4 Velocity layers for the sustain (4 on pedal up and 4 on pedal down). 4 Velocities for the release. First time i heard this piano i was blown away . i thought this is a quality piano. i needf this one. i now am recomendind this piano to friends kids can play a quality sounding piano for practicing , recitals, performing . do you have aacadimic version for iPhone and iPad? you did an awesome job. thank you for your hard work! This is a very good sampled piano. I have tried several others, both sampled and modeled, and this is my favorite. It requires a bit of work to adjust the weight of your master keyboard to the touch you want to obtain, but it's definitely worth it. The attack of the notes is superb, and the possibility to adjust the keyboard and pedal noises makes it very realistic. 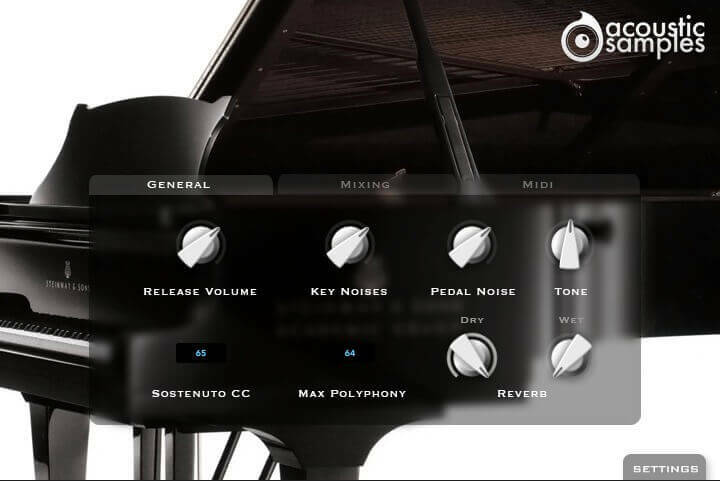 I play classical and modern music, and this piano delivers very good tone without the need to adjust EQ or add effects. 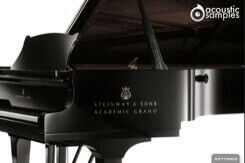 I'd only like to have sympathetic resonance modeled, it would it absolutely perfect; but if you like the Steinway sound, this one beats more expensive VSTs and digital keyboards. Absolutely an excellent value for the money. 한국어 리뷰가 없네요. 구매하려고 고민중인 분들께 도움이 되고자 몆자 적어봅니다. 우선 이 아카데믹 그랜드는 스타인웨이 D-274 특유의 느낌을 그대로 잘 반영하고 있습니다. 샘플링도 굉장히 깔끔한 편이고, 고사양이나 고용량을 요구하지 않습니다. 주로 모든 장르에 써도 무방할거 같습니다. 하지만 조금 빈약한 부분이라면, 효과 (잔향, 코러스 등등) 이 살짝 아쉽습니다. 그래도 이정도 가격대에 이정도 제품이면 꽤나 가성비가 좋은 VST 같습니다. 아칸소 대학교의 1963년에 제작된 주된 연주악기라고 하네요. As there is no one perfect piano for every application, this is a really useful virtual piano to own. It may not be as full, nuanced and dynamic as the more recent superb Acousticsamples C7, but this vintage Steinway piano tone sits very well in a mix, and maintains it clarity (which some fuller sounding virtual pianos don't) so it's a good option to have depending on the track. Great stereo imaging as well, without being artificially wide. 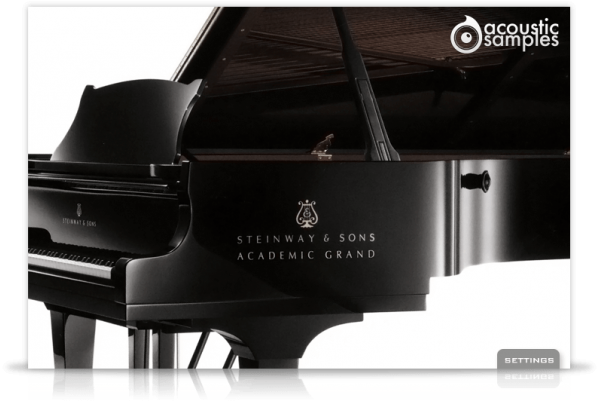 The New York & Hamburg Steinway D's are quite different pianos, and this is great to have as a contrast to the many Hamburg D virtual pianos on the market. Highly Recommended.